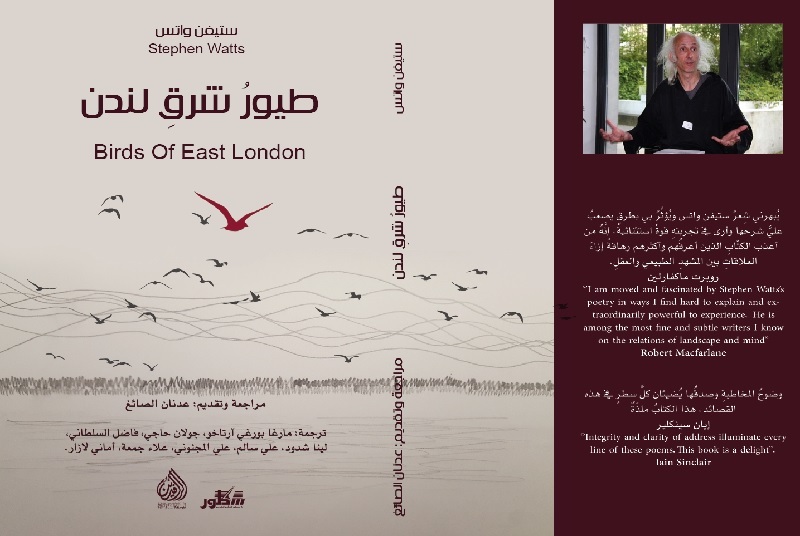 In Birds of East London Stephen Watts invites us into “an opening onto an open field”. There is “no gate to be climbed through in my lyric” he says. And yet the brief lines that follow are truly challenging – recalling T.S. Eliot and Paul Celan’s intensity and mystery. Watts, who has lived in Tower Hamlets for some 40 years, uses words in a burning way. 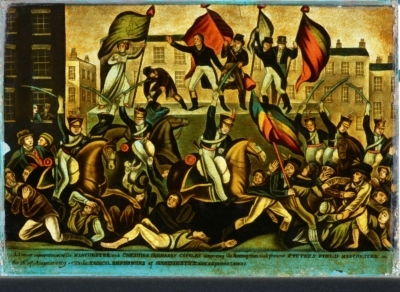 His I am a film is a Jeremiad raging against loss, against siege warfare, glutton cities, calm boulevards reduced to rubble, and the “surfeit of my masters”. He slips into the skins of multiple identities – renowned poets like Rilke, Rumi, Marina Tsvetaeva, and others less familiar to Europeans – the great Bengali poet Jibanananda Das, Indonesia’s Chairil Anwar and Peru’s César Vallejo. I am a film has the apocalyptic quality of Bob Dylan’s A Hard Rain’s Gonna Fall, but it is written for our millennium. Watts’ view from the 21st floor of a tower block in East London sparks off a reverie on how the forces of nature can penetrate even cracks in concrete cladding. It’s a meditation on life, dreams and language, in which words become the rhythm of birds in flight. The other poet in Adnan al-Sayegh’s bi-lingual set is Jenny Lewis. Her awareness of Iraq first arose through researching the life of her father who was injured while serving there with the British armed forces during World War I. Familiarising herself with the Sumerian city-state of Mesopotamia as well as the modern history of Iraq, she became entranced by the legend of Gilgamesh. She has re-told this most ancient of epics, setting it in an earlier time than other translators, before the advent of patriarchy. Gilgamesh Retold has recently been published as a Carcanet Classic to critical acclaim. 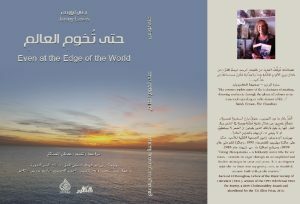 Lewis’ Even at the Edge of the World contains a selection of episodes from her book. The story of a hugely powerful and arrogant monarch forced into humility before death, it becomes a morality tale for our times. Lewis views today’s ecological crisis through the eyes of the Roman Pliny the Elder and Aristotle in her prose-poem What we thought we knew. In a poignant few lines, she mourns the extinction of the last gold Martinque Parrot and the last Puerto Rican tree frog. at first light to cut the best one. Walt Whitman’s words in Song of Myself capture the generous and expansive spirit of one of America’s best-known poets. They also perfectly describe the outcome of months and years of labour by fellow poet and editor al-Sayegh. With these two books, he is expanding his vision of connecting fellow poets to the Arab-speaking world. Whitman’s line: “I too am not a bit tamed, I too am untranslatable…” is also relevant to al-Sayegh’s enterprise. Can the linguistic, historic and cultural gap between Britain and al-Sayegh’s Arab audience be bridged through translated poetry? 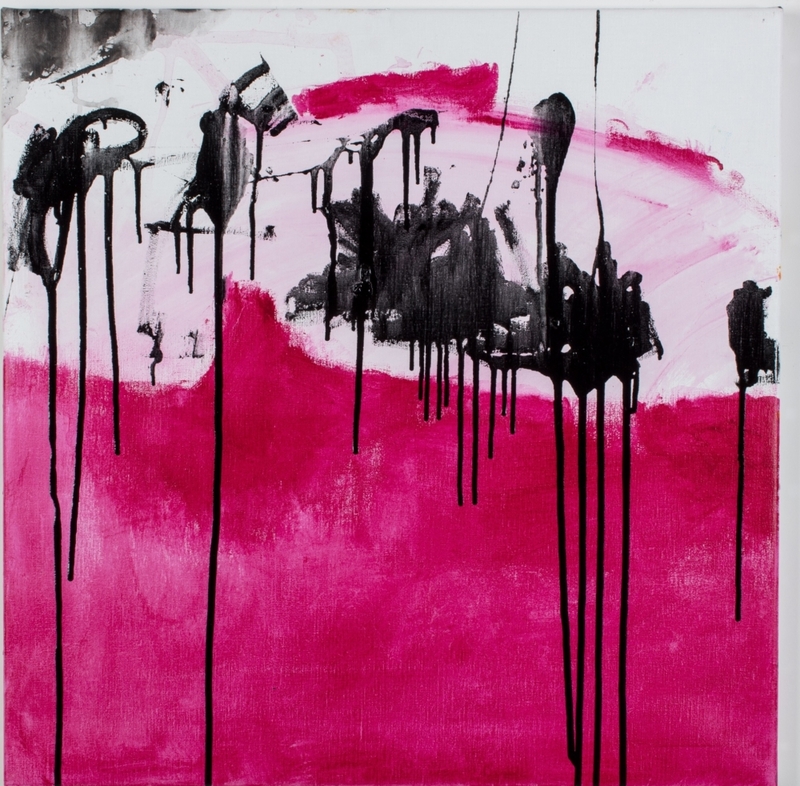 Can any poetry ever be adequately tamed and/or translated? The answer is no, but yes, yes and once again yes – all at the same time. How many of us have loved and thrilled at the translated word, both for its original foreign content and for the familiarity of our own language? Bilingual editions allow readers comfortable in both tongues to compare and contrast and deepen their understanding. But it can also be a pleasure to read understanding only the one language. Even if you can’t decipher it, just seeing the characters of the Other spread over the page is like looking through a reflection, with its own, secret beauty. 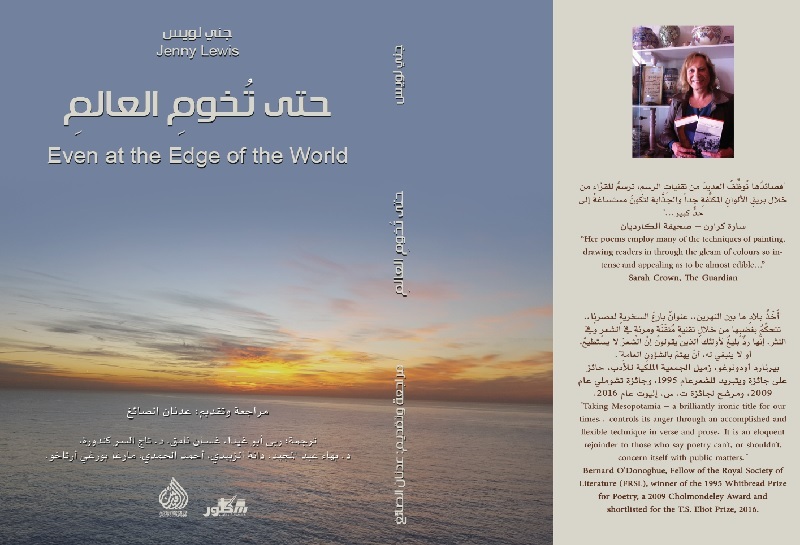 Al-Sayegh has drawn on the expertise of 15 translators around the globe to familiarise the Arab-speaking world with the work of Watts and Lewis. So these slim volumes are more precious than only the expression of two poets. 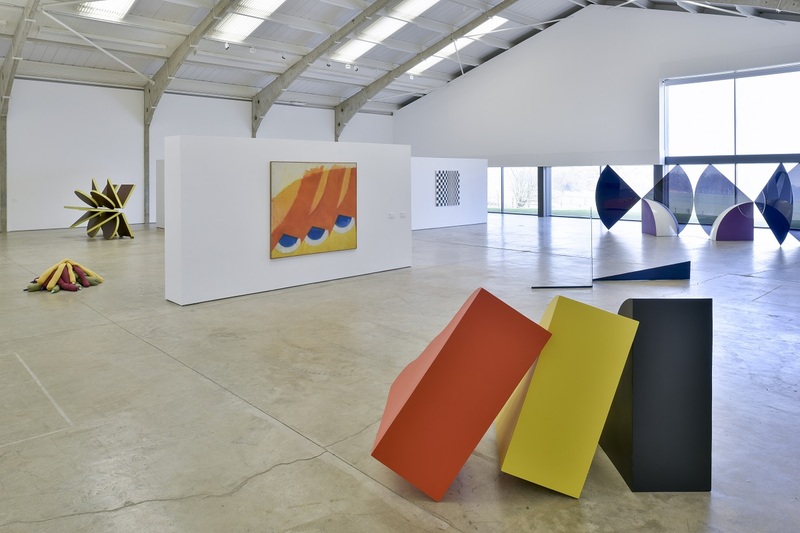 The writers, translators, designers and printers engaged by al-Sayegh are threads in complex web of connections stretching from Oxford and London to Lebanon, Iraq, Egypt, Sudan, Spain, Morocco and Libya. Lewis shares the sense of global humanity as a connected family with Stephen Watts. And they read history and the present as witnesses to their era and all eras, as al-Sayegh has said. 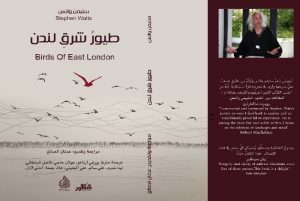 Birds of East London by Stephen Watts and Even at the Edge of the World by Jenny Lewis are bilingual books of poetry, introduced by Adnan al-Sayegh. Published by Dar Utour, Baghdad and Dar Al-Rafidain, Beirut 2018.